Starting as a rather pleasant atmospheric film with a light gloomy, mystical or even existential undertone (or was I just imagining it?) after crossing the first hour point, it somehow slips into a plane detective/romantic story. I do admire Hitchcock’s capabilities of creating movies, which while being bloodless, and lacking typical horror/thriller elements, still make you shiver. Psycho and Birds I find masterpieces in their own kind. 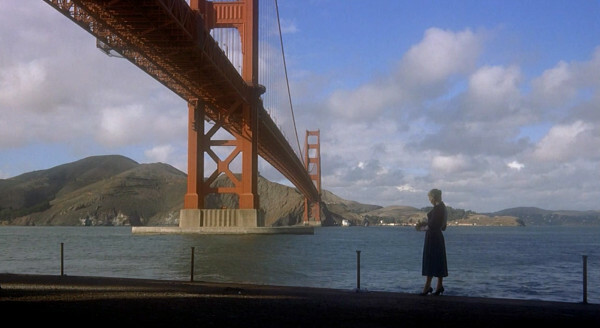 However in case of Vertigo, subtle elements, like a piece of dialog alluding to something ambiguous, or a dreamy camera shot make it personally special for me. Together with John entering his vertigo noxious state of mind, I start feeling dizzy too. And I guess it’s this physical and mental dizziness which goes throughout the whole movie, which makes it stand out from a so to say classical detective story. Unfortunately, sometimes I get unpleasantly distracted by these (free citation) “I save your live, and you know what Chinese say, I am now responsible for it forever”, and then a kiss combined with a thunder sound of a wave braking against the shore.